The Indian prospective market seems to be very lucky for British car maker BMW. It has been only one week, when the auto group introduced in India 4 new cars of its Mini Series, which is already making wonders in other global market, and the auto group has received around 100 bookings of new cars. This much figure is awesomely brilliant and when compare it to its closest rival car Volkswagen Beetle priced at Rs 21 lakh, this figure seems excellently good as the Volkswagen Beetle managed to sell only 59 units in the time span of 9 months from April to December in the current fiscal year 2011-12. The Mini, the iconic brand by its ultimate brand value has made the parent BMW India tension free by booking around half of the models which was targeted to sell in entire year. The car is creating lot of buzz among car lovers, but the impending owners will have to wait for some time to enjoy the ride of car, as the auto group is not in mood to deliver the premium car anytime before April. Among all the four models, the Mini Crossover and Mini convertible are the models, those are attracting consumers. Both the models are maximum priced model which are tagged at Rs the Rs 25 lakh-Rs 32 lakh. Rest two models christened as BMW Mini Cooper and Cooper S hatchbacks are famous among the fans due to its beautiful design and exclusive constructed form. 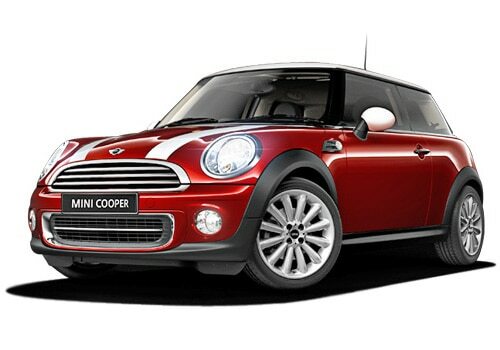 BMW Mini Cooper S pictures are very attractive and uploaed on web.The high priced Mini Cooper convertible and Mini Cooper Countryman S are designed this way that bring modernizations to next level, in Indian market no matter it has its age-old presence. This Mini range introduced in India is the combo of new ness of high sited crossover on the road and the traditional value as compared to rest of the Mini range cars.